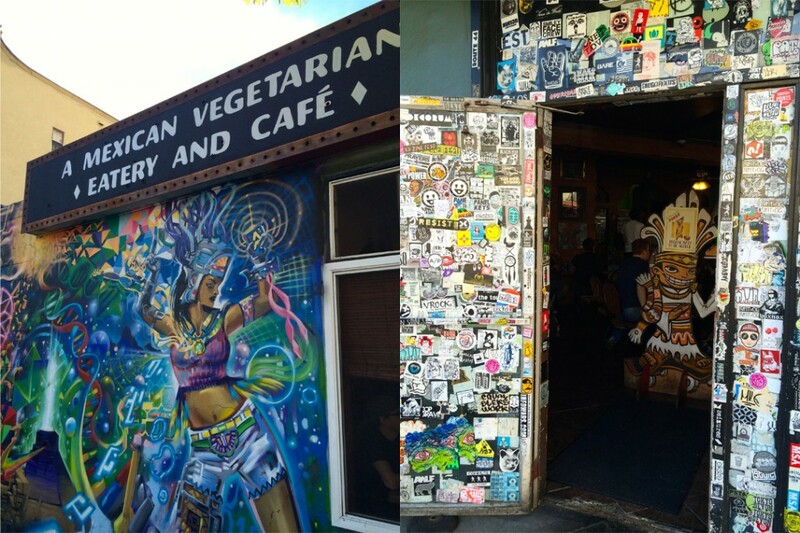 The place is eclectic, the exterior walls are painted with graffiti and the door is covered with a billion stickers (my guy even pointed out a Food Fight sticker – can you spot it in the pic?!) Inside is pretty casual, it’s fairly small but feels homey. We waited about 5 minutes for a table on a Sunday afternoon at lunchtime, not too bad. Now, the staff (all two of them working the front of house) was very friendly but I wonder if they were short staffed that day. Once we were seated it took about 5 minutes to get a basket of chips and our drink order, another 5-10 minutes to place our meal order (which was actually good because I’m discovering my guy has a tough time choosing what to eat at restaurants and the extra minutes were probably helpful!) 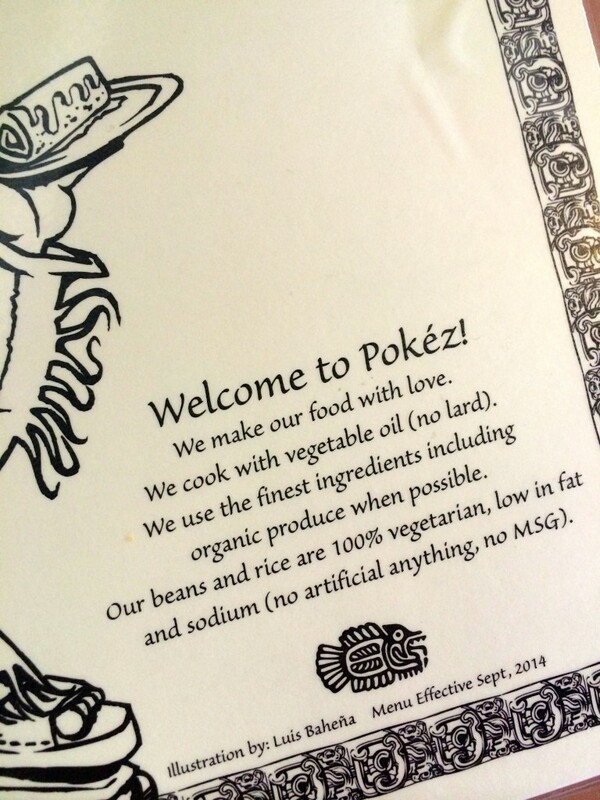 The great thing about Pokez is that more than half their menu can be veganized and they use absolutely no lard, so the beans & rice are vegan too! 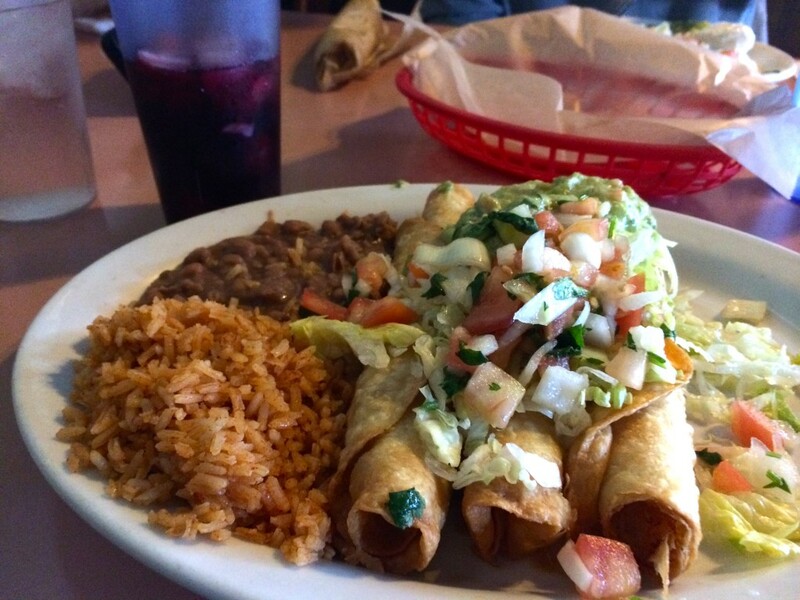 It was hard to narrow down what I wanted, but I ended up picking the potato flautas and sangria. The guy got fajitas (he is not vegan so I couldn’t try them – next time I’m ordering the tofu fajitas though). It took about 30 minutes to get our food. Again, I think they were short staffed but our server remained friendly and calm even though she was the only waitress working the whole place, so I have to give her major props for that. I myself would be a stressed-out wreck if it were me in her position. The food was absolutely worth the wait though. My flautas were effing AMAZING. They were perfectly crispy flour tortillas filled with the most flavorful mashed potatoes imaginable. 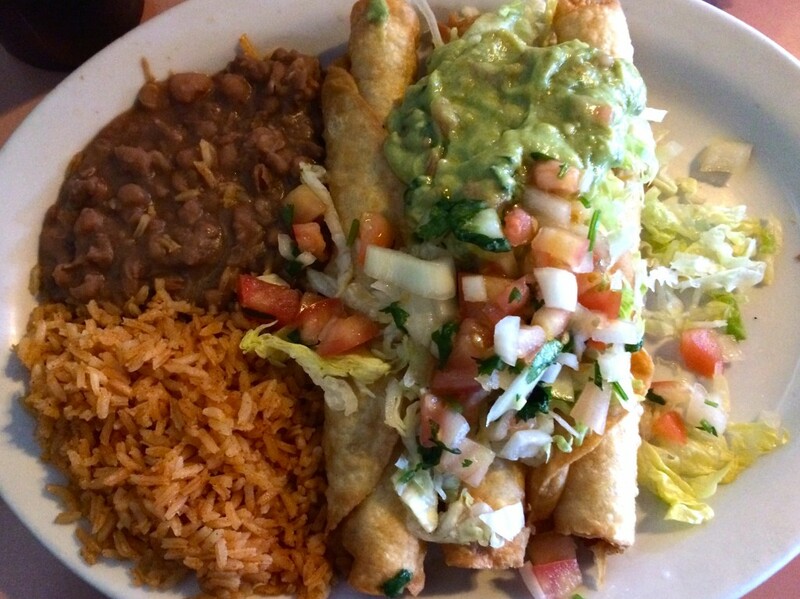 I haven’t had a flauta in years and it made me do a little happy food dance in my seat when I bit into them. I may be drooling a little right now just thinking about their deliciousness. The beans and rice were spot on as well, it reminded me of the authentic Mexican food flavors I had been missing for so long. 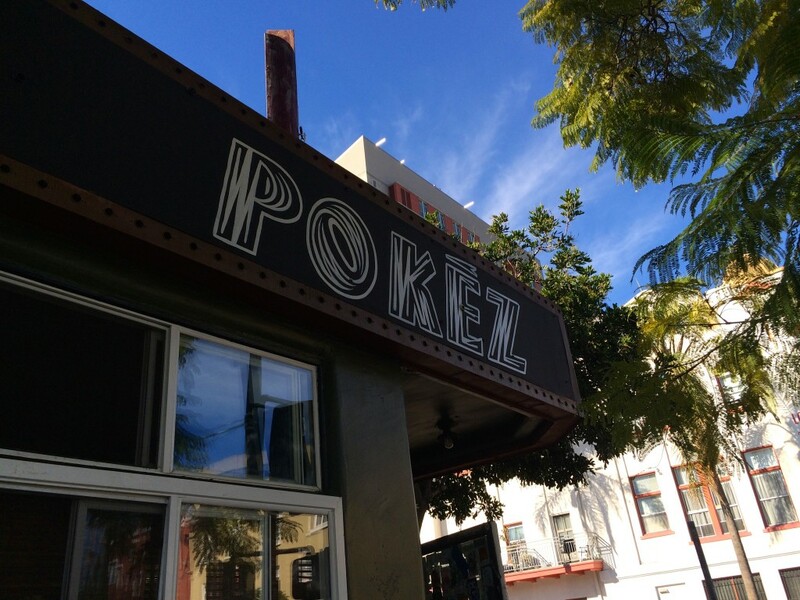 If you’re ever in the downtown San Diego area, I highly recommend Pokez (unless you’re in a hurry). It’s a great place for vegans and omnivores alike (I’m learning to navigate the obstacles of eating out with an omnivore – though he is always super sweet about making sure there’s something I can eat besides french fries). I know I’ll definitely be making more trips down there just to try all their vegan options!